Hi friends! 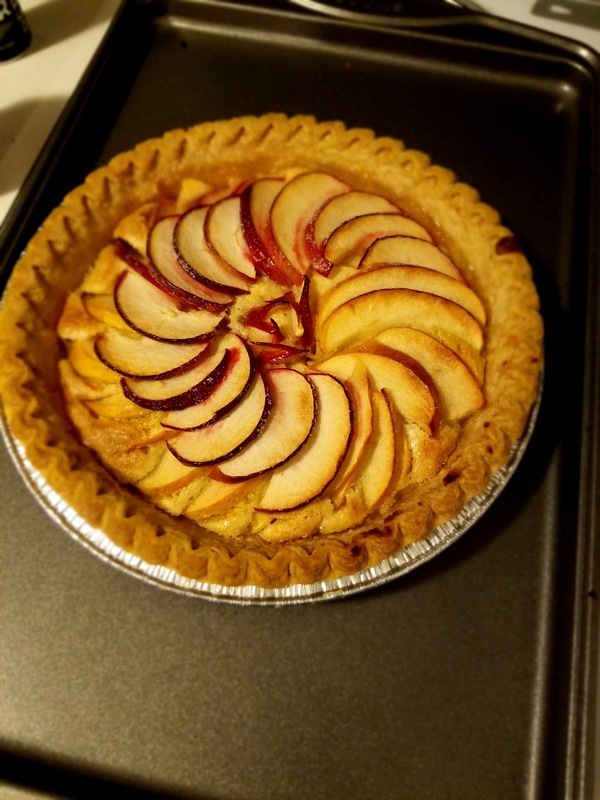 Today we have Kritika sharing a DELICIOUS fall recipe with you all! 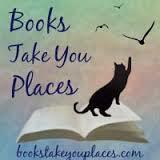 It is FINALLY starting to feel like fall out here in New England (what took you so long, Mother Nature?!) so I can’t wait to delve in and make me this tart! YUM! After your mouth finishes watering head over to Amy & Brittany’s blogs to see who they have featured today! Don’t forget, we are hosting wonderful bloggers & authors for two whole weeks with recipes, book recommendations and a lot more awesome! I just moved from California to Michigan for grad school this year, so it’s been so much fun to experience my first actual fall. I’d never gone apple picking or had apple cider with fresh warm donuts before (California is more of a strawberry/cherry/blueberry picking kind of place), so of course when I went apple picking for the first time I got a little too excited and ended up with waaaaaaaaay too many apples! Whenever I have too much of an ingredient in my kitchen, my solution is always to bake something with it. I ended up making apple streusel muffins, apple jam, and even some apple grilled cheeses (which were surprisingly good!!) 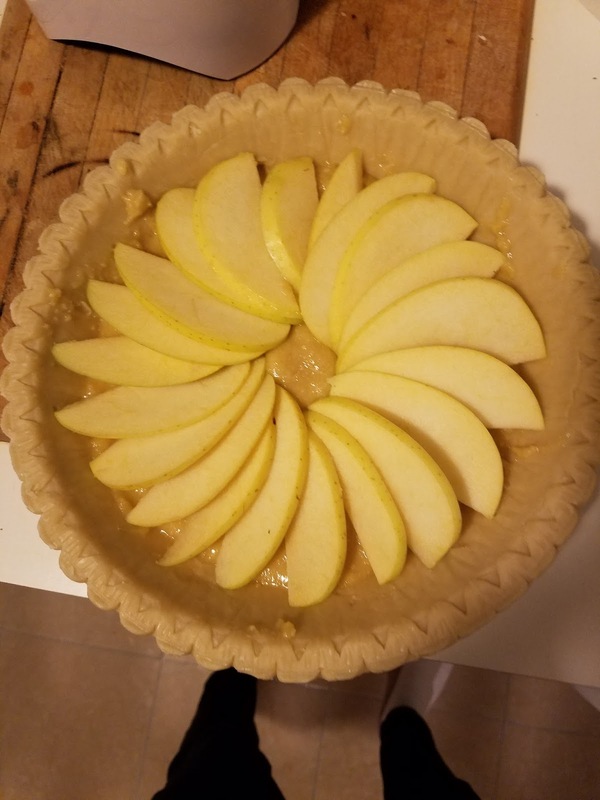 but my favorite recipe is this French apple tart recipe. I made two of them because I loved the taste so much! 4) Toss the apple slices in the lemon juice. Place the first layer of apples on top of the frangipane in a spiral. 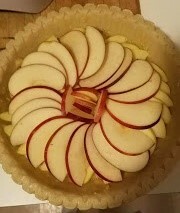 5) Keep adding layers of apples until you’ve covered the whole tart or run out of apple slices! 6) Sprinkle 1 tbsp of sugar over everything and stick the tart in the oven for 1 hour. This entry was posted in fortnight of fright. Bookmark the permalink.